Chanteur Country US né le 7 Avril 1932 à Gans (Oklahoma). 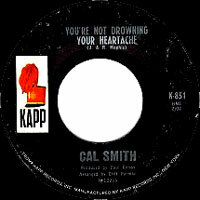 Singer Cal Smith emerged from Ernest Tubb's band and enjoyed several hits of his own between the late '60s and mid-'70s. His best-known song was the sentimental "Country Bumpkin," but his gritty baritone voice was equally suited to more acid material such as "The Lord Knows I'm Drinking," a sharp denunciation of small-town religious self-righteousness. 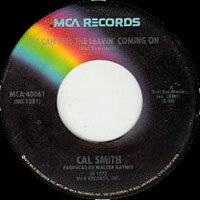 Smith was born Calvin Grant Shofner in Oklahoma but grew up in the San Francisco Bay area. A guitar player since childhood, he spent time with rodeo performers as a teen and began to think about a show-business career. With the support of his parents, who believed he was less likely to get into trouble on stage rather than in the audience area of a barroom, he began playing professionally when he was 15, at a bar called The Remember Me Cafe. He was paid a dollar and 50 cents a night plus dinner, and his listeners were mostly migrant California vineyard workers. It was a long time before Smith could make a living playing music, however, and he did jobs ranging from truck driver to bronco buster during the 1950s. He was briefly married, but when his wife made him choose between music and her, Smith chose the former. (He later married again, with more durable results.) 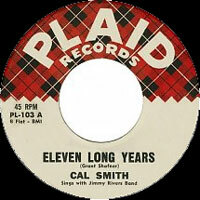 Smith appeared on the California Hayride television program soon after its inception in the mid-'50s. He did a two-year stint in the military and returned to the Bay Area after his discharge, working as a DJ at San Jose radio station KEEN and performing around the area in a band whose membership included Bill Drake, the brother of one of Ernest Tubb's Texas Troubadors. Tubb heard him play and following an audition hired him as a rhythm guitarist and MC in 1961. Several of Tubb's '60s hits feature Smith's playing. At that time he was still using the name Grant Shofner; his stage name gained currency after Tubb helped him land his first solo recording contract with Kapp Records in 1966. That year he released his first single, "I'll Just Go Home." 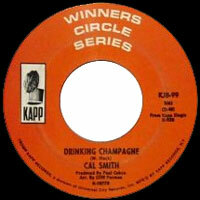 He made his first chart entry with his sophomore effort, "The Only Thing I Want," which made it to the Top 60, and when "Drinking Champagne" (1968) cracked the Top 40, Smith left Tubb to focus on his own career. During his several years with Kapp he had eight more moderate hits, including "Heaven Is Just a Touch Away." 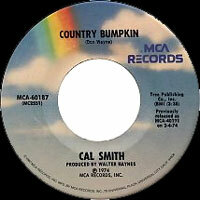 In late 1970 Smith signed with Decca, and material from Nashville's top writers began to come his way. 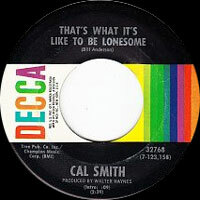 In 1972 made it to the Top Five with what might be called the anti-sentimental breakup song "I've Found Someone of My Own," and a few months later he scored his first number one hit with the Bill Anderson composition "The Lord Knows I'm Drinking," which also crossed over to become a minor pop hit. 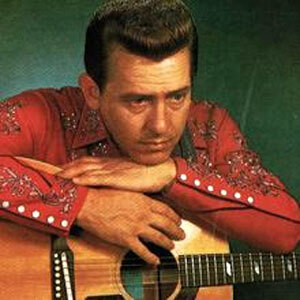 His next few singles did not do as well, but in 1974 he scored his second number one hit with "Country Bumpkin," a Don Wayne-penned tune that became Smith's signature song and a radio staple for years to come. Later that year he had his third number one, "It's Time to Pay the Fiddler." He continued appearing on the charts through 1979, switching to the MCA label for such releases as "The Rise and Fall of the Roman Empire." After the main phase of his recording career ended, Smith became an investor in the Nashville Sounds minor-league baseball team. 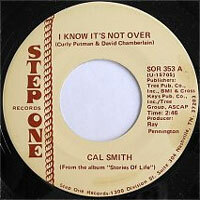 He re-emerged briefly in 1986 on the tradition-oriented Step One label with the album Stories of Life by Cal Smith. 1970 SP KAPP Winners Circle Series KJB-99 (US) .